Our facial plastic surgeons offer several educational and informative seminars on facial cosmetic and plastic surgery in Naples, Florida. These seminars discuss the endoscopic facelift, Mid Facelift, rhinoplasty, Laser Wash resurfacing, skincare maintainence and the latest in injectables and facial fillers, i.e., Botox Cosmetic, Juvederm Injectable, Restylane, Radiesse, Perlane, and ArteFill. Please join us in our office on Tuesday, August 28th at 5:30pm for refreshments, a presentation by Drs. Maloney and Agarwal, followed by a live Arctic laser peel demonstration. Reserve a place by calling 239-594-9100 or visit our site, The Aesthetic Surgery Center. Our facial plastic surgeons offer several educational and informative seminars highlighting the contemporary approaches to cosmetic and plastic surgery of the face and neck. These seminars discuss the endoscopic facelift, mid facelift, rhinoplasty, Laser Wash™, skincare maintainence (including Dr. Maloney's Signature Skin line) and the latest in injectables and facial fillers, i.e., Botox® Cosmetic, Juvederm® Injectable. We serve the Naples, Fort Myers, and Marco Island area. To attend one of these FREE informative seminars, visit our website, The Aesthetic Surgery Center, and fill out the online form or call our office at 239-594-9100. Watch our new Aesthetic Surgery Center video! 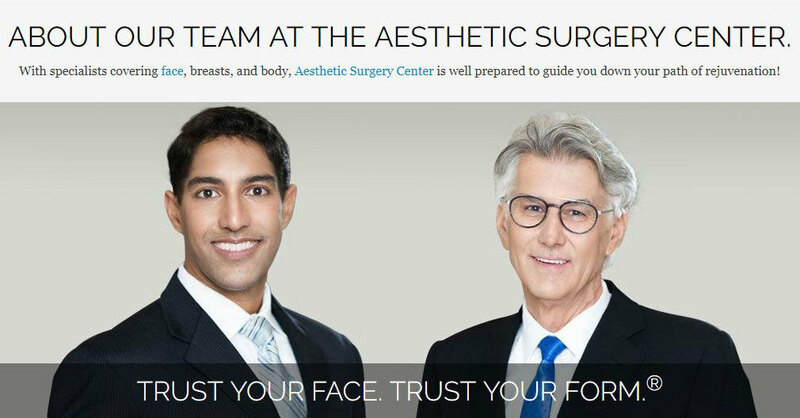 Dr. Richard Maloney and Dr. Anurag Agarwal are both board certified by the American Board of Facial Plastic and Reconstructive Surgery, and by the American Board of Otolaryngology. Dr. Maloney and Dr. Agarwal utilize endoscopic face lifting techniques with minimal-access incisions to produce results that are more natural with greater patient satisfaction. We hope you enjoy our practice overview video. This 5 minute segment highlights services offered, provides an overview of our facilities, and has patient testimonials. We serve the Naples, Fort Myers, and Marco Island areas. The Renaissance Review is the best way to stay abreast of new and innovative procedures in facial plastic and cosmetic plastic surgery in the Naples, Fort Myers, and Marco Island area. In a time of exploding new technologies and the latest research, our Naples Facial Plastic and Cosmetic Surgeons strive to provide their patients with the safest and most effective techniques designed to restore the natural beauty to your face. Join us for our Botox® Cosmetic Party, Thursday, August 16, 2012 from 10:00 am to 5:00 pm at The Aesthetic Surgery Center in Naples, Florida. Enjoy 20% off of the following: skin care products, Spa Services, Jane Iredale, Botox Cosmetic. The 20% discount also includes Facial Fillers : Radiesse, Juvederm, Restylane, Artefill. Please call our office, 239.594.9100, for more details. See you there!